CapTel 840 Captioned Telephone - Can’t Hear on the Phone? - Weitbrecht Communications, Inc.
See everything that your caller says! 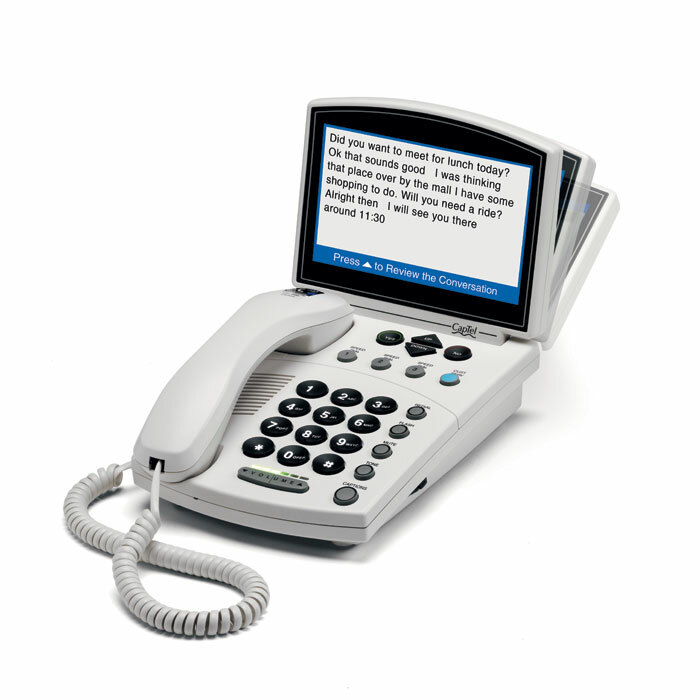 Be sure of what people say over the phone with the new CapTel 840. 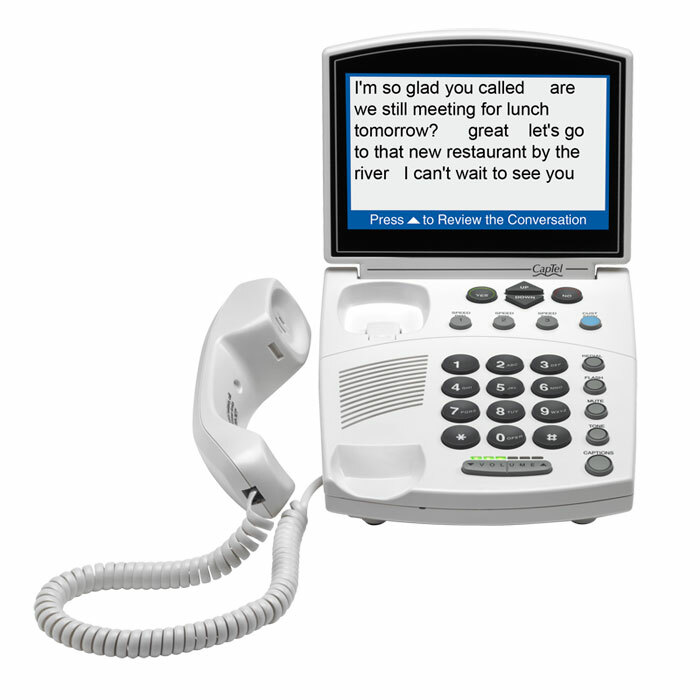 This remarkable phone works like any traditional telephone, but it also shows you written captions during your telephone conversations. Can’t quite hear what they say? Just check the captions! Captions are provided by a free service that connects to the call. 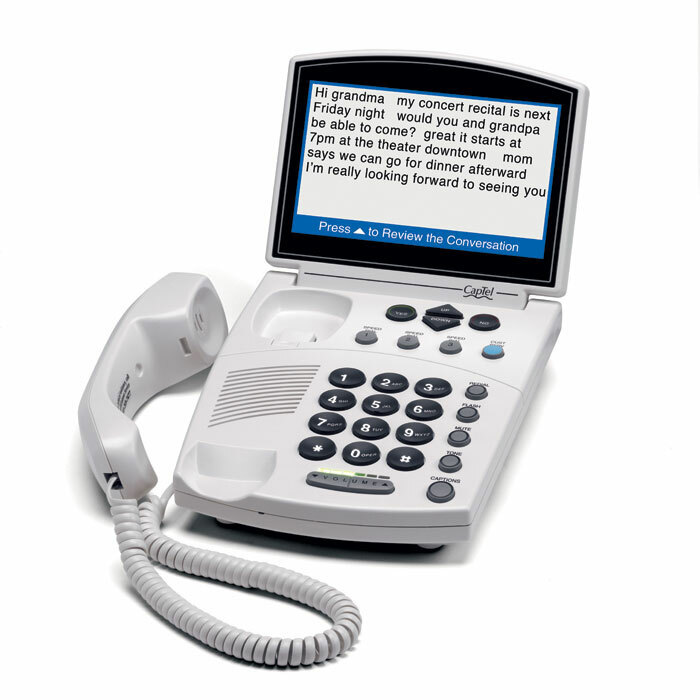 Calls you make are automatically connected to the Captioning Service to provide captions. 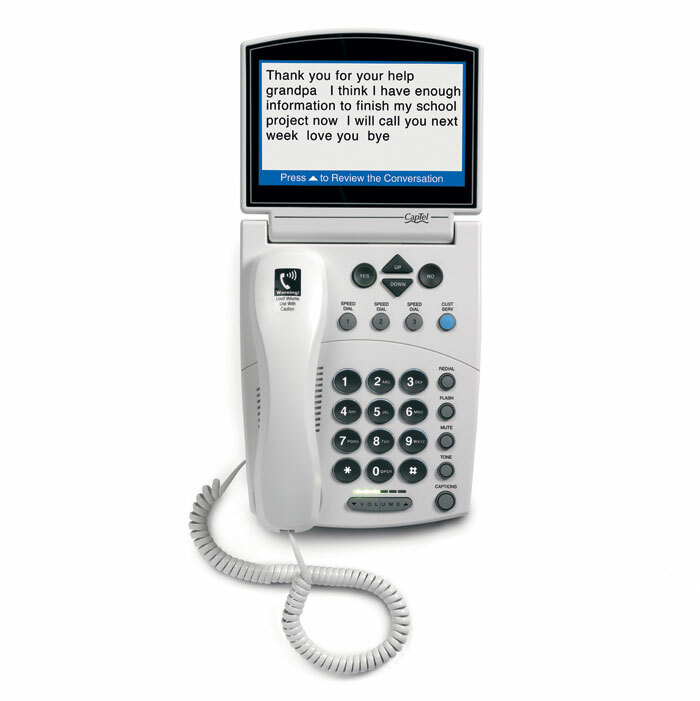 Easy access to voice mail and answering machine messages. Works just like a standard phone for people who do not need captions. For more information, visit our CapTel page.